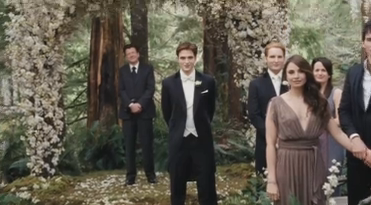 Here is the preview for Twilight’s Breaking Dawn Part 1 teaser trailer! Yes, it’s short, but when you’re a Twlight fanatic like me, you’ll take what you can get!! You’ll get to see the full version on Sunday night on MTV during the 2011 MTV Movie Awards!